Greater Austin Allergy Asthma & Immunology (Bee Cave) - Book Appointment Online! Whether you live in North Austin, Cedar Park, Lakeway, Round Rock, Georgetown, Bastrop, South Austin or Oak Hill area, Central or West Austin, we have a location convenient for you. Our dedicated team is committed to providing each patient with an exceptional level of care and attention. 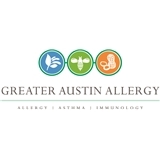 At Greater Austin Allergy (formerly West Austin Allergy) we provide care to individuals suffering from allergy and immunologic related illnesses such as insect allergies, drug allergies, food allergies, asthma, hay fever, hives and immune deficiencies. Many patients have inquired about allergy drops -- sublingual immunotherapy (SLIT). We do offer this type of treatment and would be happy to assess your allergy needs. *If you are requesting to get skin tested, please view the "Skin Testing Instructions" that are apart of the Patient Registration Forms. Be clear on your treatments and what you feel comfortable with. Allergies are not the same for everyone and should be treated as so. Great experience overall! Very professional, helpful and kind! Dr. Cox and his staff are professional, efficient, and kind. I have been receiving first class service. Thank you! Extremely knowledgeable, took her time.